JUPITER FARMS, Fla. — The partial government shutdown has left 800,000 government employees without a paycheck. The shutdown is not just hurting them it's hurting their pets. 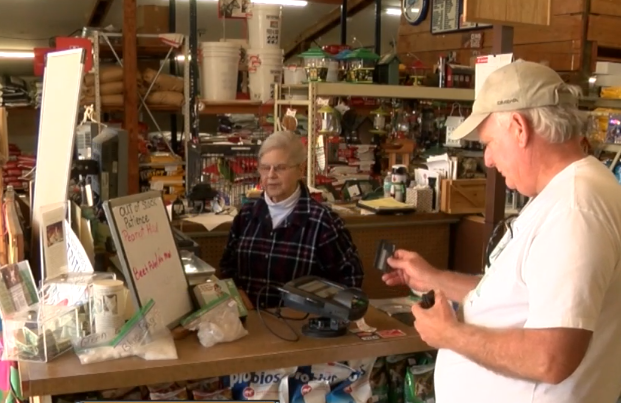 At Town and Country Feed and Supply in Jupiter Farms it's easy to find a helping hand. For 45 years the owner Ritchey Brown has made it his business to know what's going on in the community. "It's a tight neighborhood," he said. For some of his neighbors, this is a tough time. "It's heartbreaking is what it is," Suzie Flournoy said. The partial government shutdown is going on its 28th day and for some local federal government workers that mean no paychecks. "Hopefully the shutdown will end soon, but we will help where we can," Flournoy said. Keeping her word she reached out to Brown. It's an unlikely partnership for an unlikely cause. "It could be your dog, your cat, your horse, your cow, your sheep, goats or chickens," Brown said. Until the partial shutdown ends the store will be giving away free pet food to their neighbors needing a little extra help. Brown says farm animal food can add up. "Your chickens going to be about $20 for your horses it will be around $50 a week or more," he said. Brown says if people are interested in donating they can stop by the store during normal business hours. "It's nice to know that we can help when things aren't so good because people have been really good to us over the years," he said.